Tonight for dinner I wanted tofu, but then I also wanted eggplant. I’ve seen the combo before but never have had a recipe. I decided to create my own. I knew I wanted something sweet and spicy so I gathered my ingredients to come up with my desired flavor. I must say, I outdid myself! This was delicious. So delicious that I am probably going to make again very soon. Soon like this upcoming week, lol. I am going to try and perfect my craft by adding more colors to the dish. I was working with what I had. 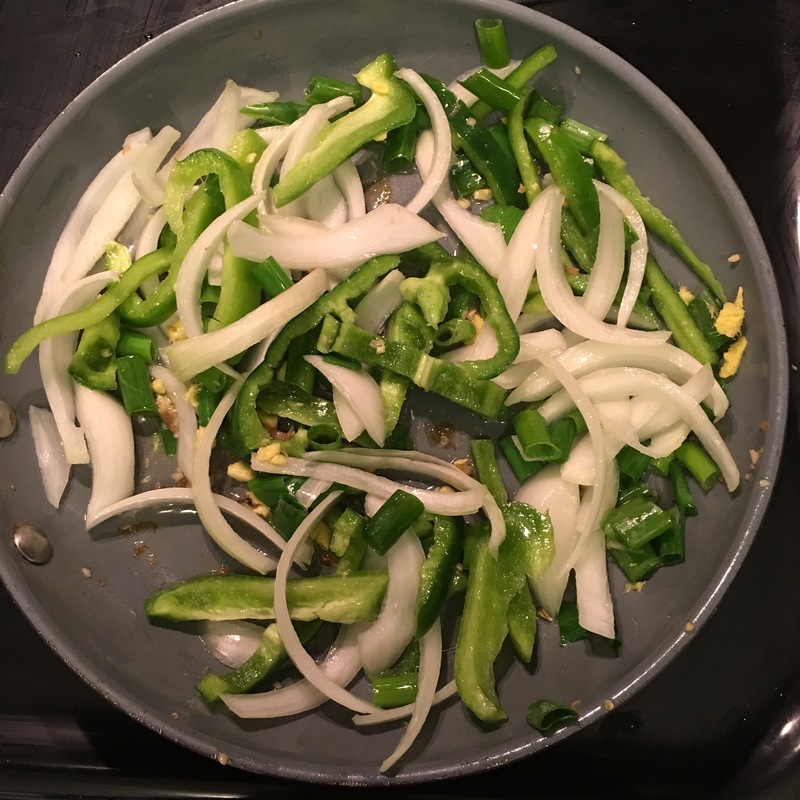 Next time I will also use red and yellow peppers since it is a stir fry. I definitely need and want to invest in a wok. 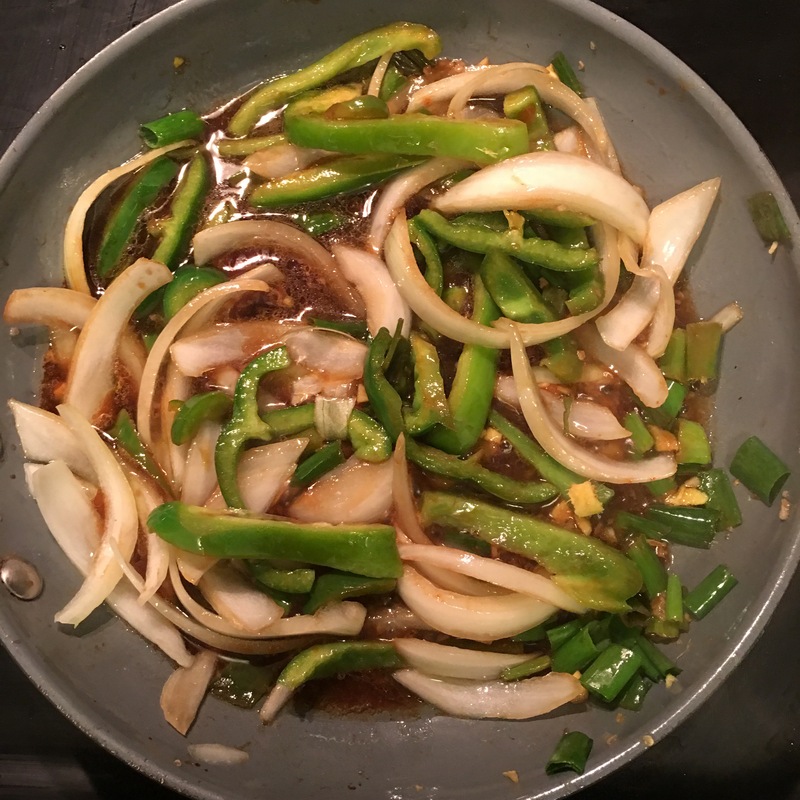 A wok would be perfect for alot of my dishes. 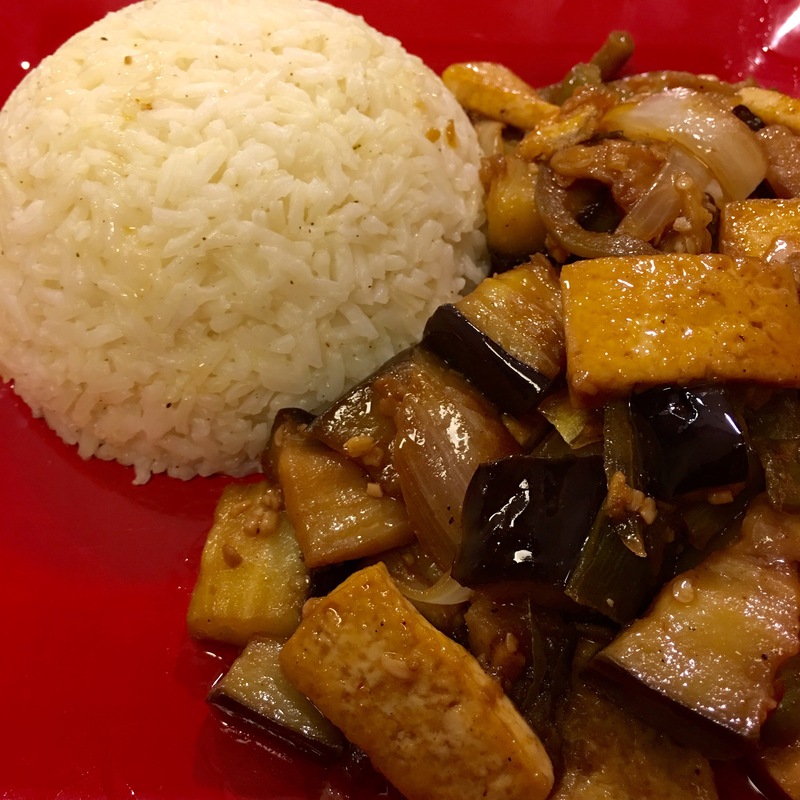 As I have found myself saying quite often, “Not only is this good, but it is good for you.” Eggplant and tofu are where fiber meets protein. Both are excellent sources of vitamins and nutrients. 1. First, drain tofu and set aside about an hour before prepping your meal. 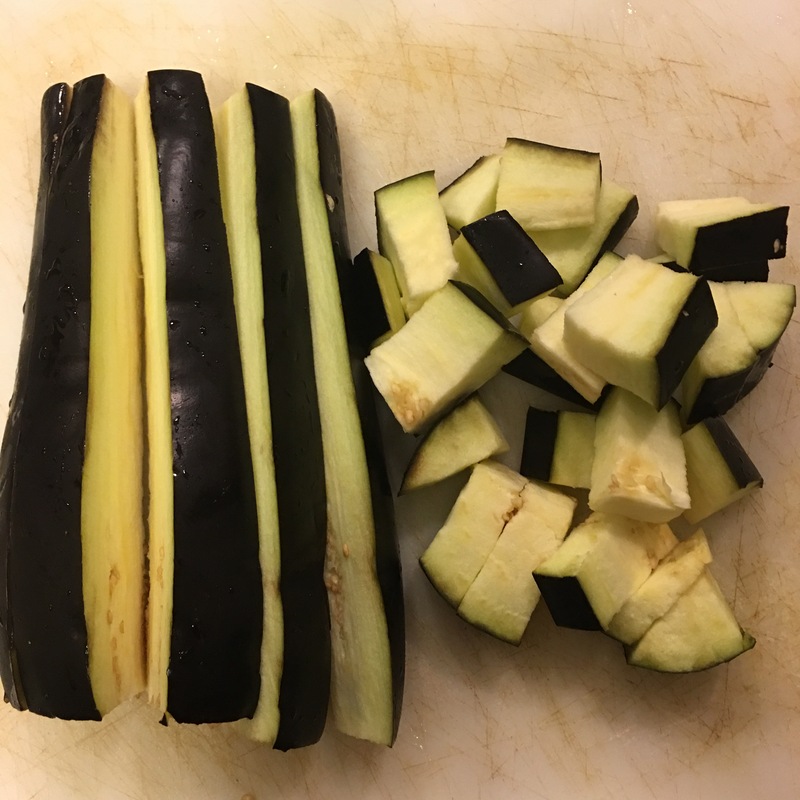 Slice eggplant. 2. Heat 2 tbs of oil in heavy pan or wok. Add garlic and then add eggplant and cover. 3. 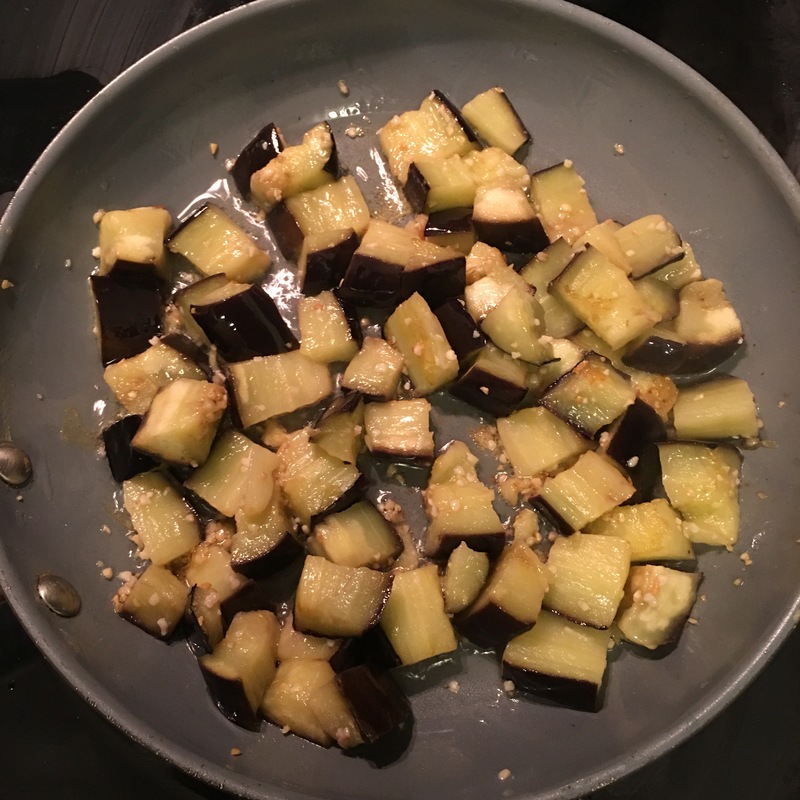 Once eggplant is cooked remove from pan and set aside. 4. 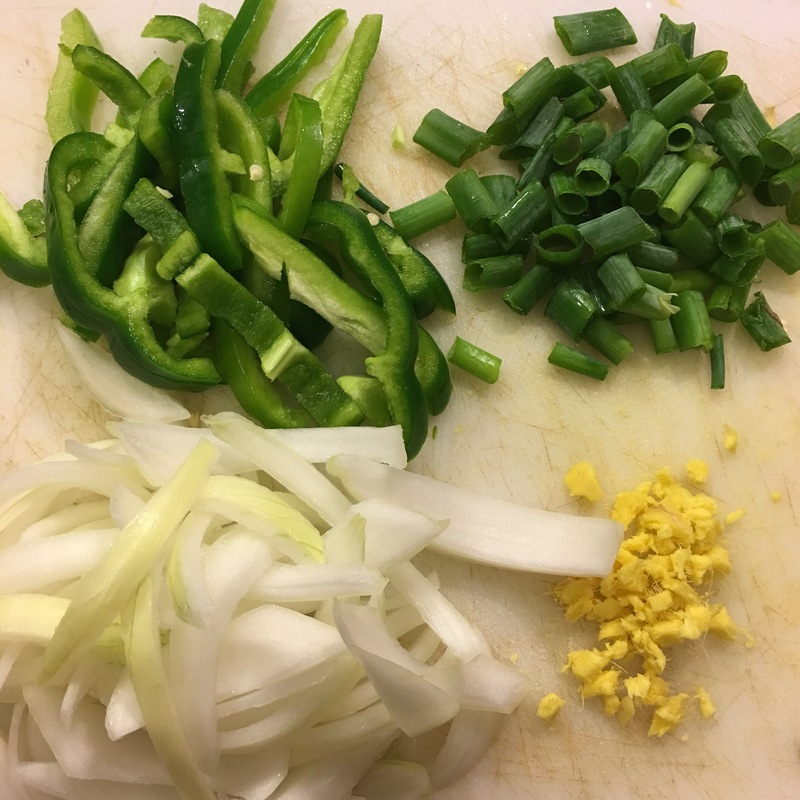 Combine green pepper, onion, green onion, and ginger. Add to pan that eggplant was removed from. 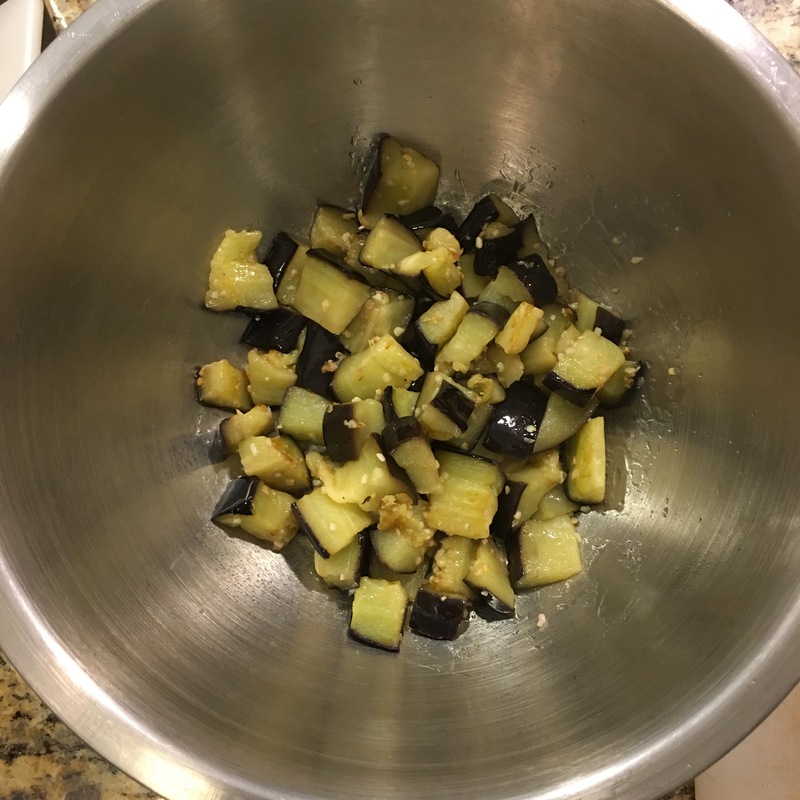 That oil is now seasoned from garlic and still holds flavor from eggplant. 5. Heat 2 tbs of olive oil in another pan. 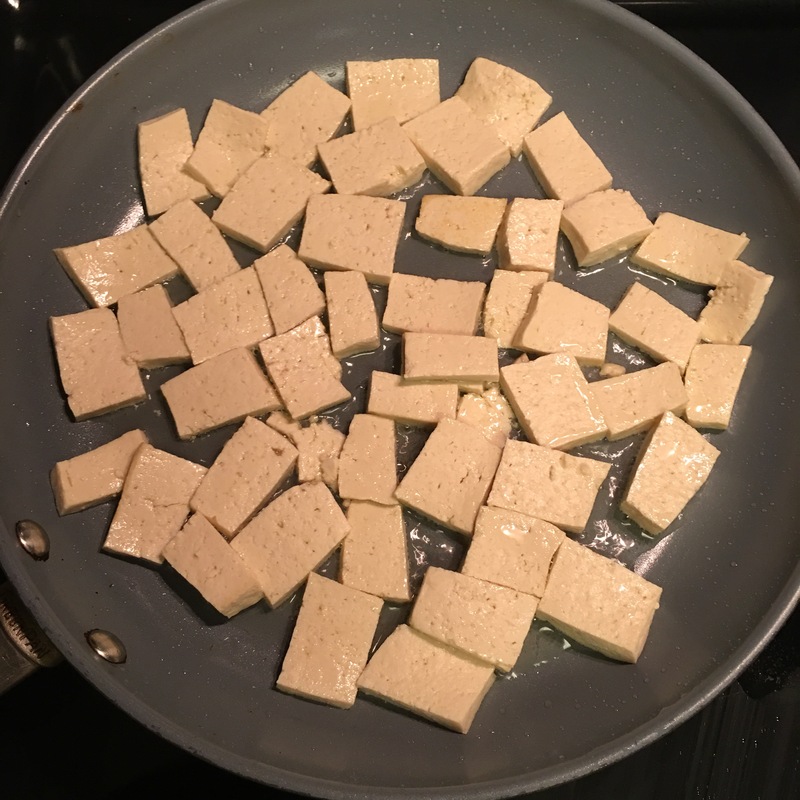 Cut tofu into cube-sized pieces and add. Allow to brown for 7-10 minutes. 6. While tofu is browning, add sauce ingredients to pan with veggies. Allow to simmer and then add eggplant. 7. 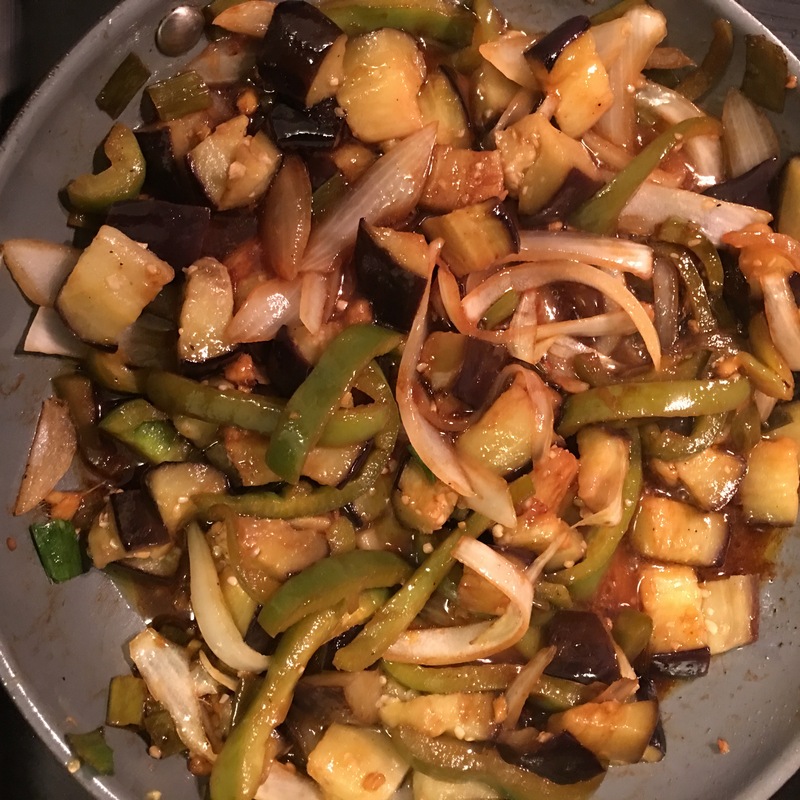 Once tofu is browned add eggplant combined with veggie to pan and mix so that all is blended well. 8. Serve with rice and enjoy! Not surprised to see ginger and garlic in there. 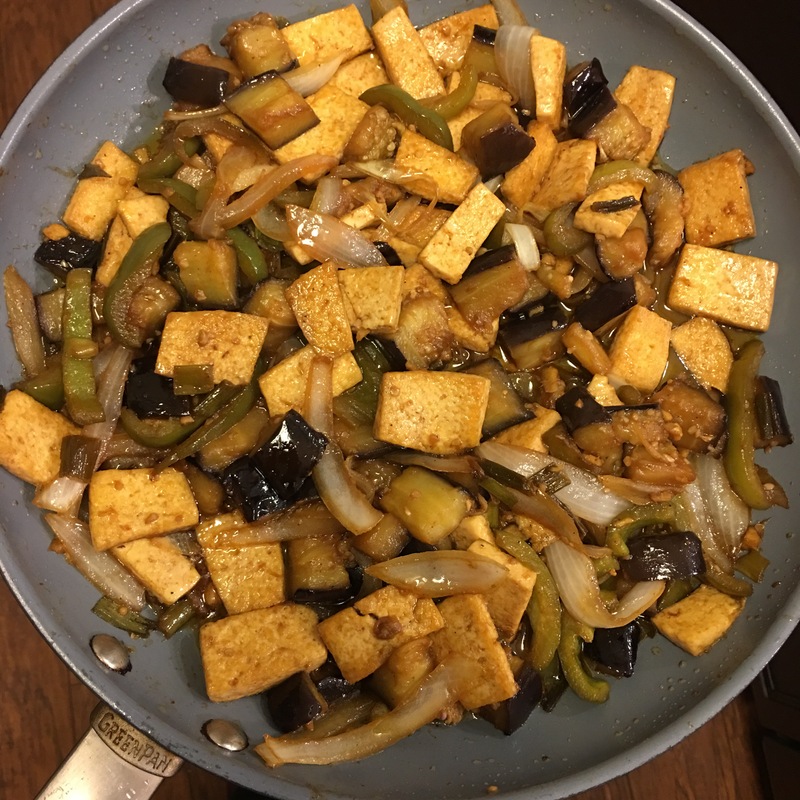 I’ve never tried tofu mainly because I don’t understand what it is, but that recipe looks good! I’ll have to make some for you. I love it. Most people don’t get it. Tofu is a form of soybeans that is made by curdling soymilk so that its proteins become coagulated and then pressed into a sliceable cake. It’s 2.50 at the local Walmart. I love it! I’ve had soymilk before, so now that makes a bit more sense. And yes, looking forward to trying it! I can almost taste your dish… hmmm… yum!